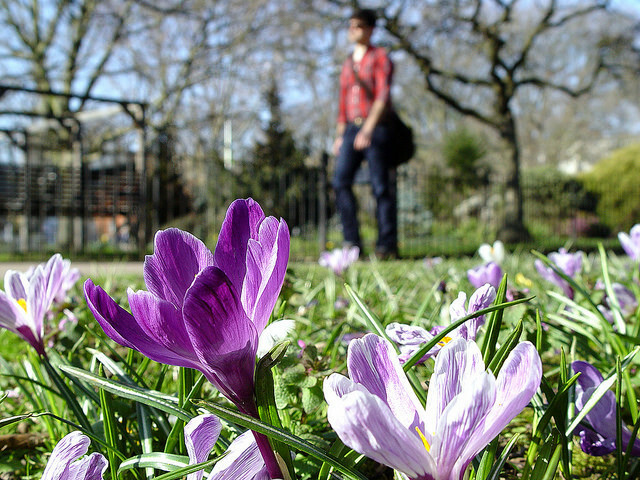 Signs of spring in a Vauxhall park, by Jason Cobb in the Londonist Flickr pool. Met police document shredding looks increasingly dubious. Nearly all London's A&E wards miss their waiting time targets. South London car mechanic wins £108 million on Euromillions lottery. Great visualisation showing the order in which London's train stations opened. M4 motorway expansion plans announced. Canary Wharf's 58-storey residential Diamond Tower wins planning approval. 4 in 10 Londoners consider leaving because of the cost of living. Campaign to save Victorian laundry, with Queen Victoria pant connections, from housing development. A new phrase for you: ghost gazumping. Southbank Centre erects massive organ. BBC describes it as 'full-throated'. New book claims this chap, as well as Joseph Bell, was the main influence behind Sherlock Holmes. Inside the King's Cross skip garden. The Viktor Wynd Museum of Curiosities will replace the Last Tuesday Society shop.